Ultion Protection for everything that matters to you! Our Ultion products are accredited with Sold Secure certification and tested by the Master Locksmiths Association. 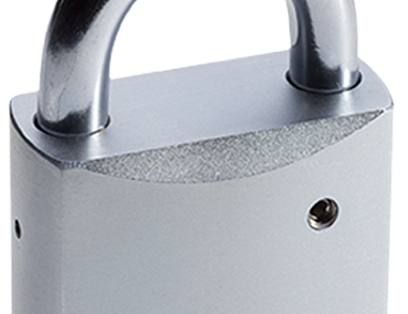 We offer the Ultion padlock in a range of sizes, depending on the item and level of security you require. The 61mm and 70mm locks are available with three different shackle lengths and a super-secure closed shackle option. Padlock keys are usually very small and easy to lose - that’s why we offer a keyed alike option so you can use your house key to operate your padlocks! The Ultion padlock lives up to the Ultion reputation when it comes to testing. The 60mm body with its 11mm diameter shackle range carries the Sold Secure Silver accreditation and is CEN 5 rated. For improved security, choose the 70mm body and 14mm shackles for Sold Secure Gold accreditation and CEN 6 rating. All padlocks are insurance approved. We give you the choice of whether the shackle is attached to the body when unlocked, this can be removed via the small grub screw at the back of the lock. There are many reasons that make whatever your Ultion Padlock is protecting so safe.